Harvard graduate student Connie Goodwin needs to spend her summer doing research for her doctoral dissertation. But when her mother asks her to handle the sale of Connie’s grandmother’s abandoned home near Salem, she can’t refuse. As she is drawn deeper into the mysteries of the family house, Connie discovers an ancient key within a seventeenth-century Bible. The key contains a yellowing fragment of parchment with a name written upon it: Deliverance Dane. This discovery launches Connie on a quest–to find out who this woman was and to unearth a rare artifact of singular power: a physick book, its pages a secret repository for lost knowledge. As the pieces of Deliverance’s harrowing story begin to fall into place, Connie is haunted by visions of the long-ago witch trials, and she begins to fear that she is more tied to Salem’s dark past then she could have ever imagined. This is a book I’ve had sitting around for a long time. Despite being so excited to buy it, I only just now got around to reading it. Howe’s novel had the perfect recipe of things I love in books: mystery, history, a tiny bit of supernatural, and a scholarly taste to it. I liked this book well enough though I felt it could have been much longer. I felt that Howe only scratched the surface a bit with this one. The house in Marblehead was just so enchanting and gorgeous, I didn’t want the book to end because I didn’t want to leave it! As summer comes upon us, I would definitely label this a beach read for people who don’t like beach reads. Just intellectual enough, but not complicated or difficult to follow. The plot chugs along at a good clip, rarely slowing or lulling. Maureen Johnson is an author I’d enjoyed in the past, but kind of forgot I liked. 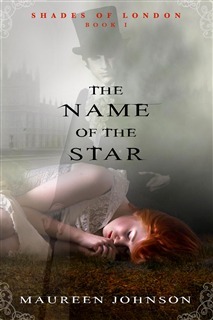 I saw The Name of the Star mentioned on another book blog some time ago and purchased it on my Kindle. I started it when I found in need of some distraction during my lunch break. Johnson has a very engaging style that is every bit in evidence here. I really enjoyed the character of Rory… From her first chapter, I loved her stories about her eccentric family in the south. She was overall a great lead. The storyline was intriguing and great… Someone is repeating the Jack the Ripper murders. I loved the mix of history in this YA, set in an old city, at a boarding school (honestly, she had me at boarding school). The time period of the history is also one of my favorites… Victorian. Supernatural twist: Did not see that coming/ was not prepared for it. But it totally made the book great. I’m stoked to read the next books in this new series. The Name of the Star was pretty addicting and I’m sure the others in the trilogy will be as well, knowing Johnson’s writing. As part of my new decision to review everything I read, I’m going to be letting my geek flag fly. I love YA. I really, really do. Kate Brian’s Private series is one of my favorites. Over the years I’ve read a few of her stand-alone novels as well as her Privileged series. 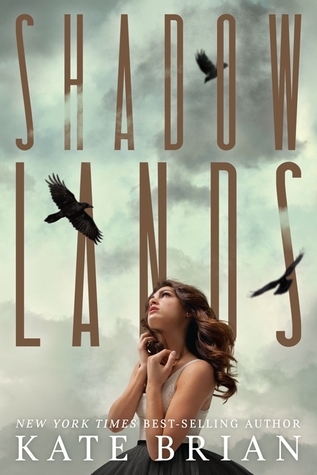 Shadowlands is the start of yet another series. I didn’t know all that much about this book before I got into it. I figured it’d be similar to Private and Privileged. I was not expecting things to take a … supernatural twist. Well, I guess the title is Shadowlands after all. I really enjoy Kate Brian’s writing and Shadowland was no different. Her characters feel very life-like and altogether normal. She’s a fan (in most cases) of using the rather average, slightly self-deprecating protagonist. Because doesn’t every girl kind of feel like that inside? That aside, this book was creepppyyyy. It’s about a girl named Rory who finds herself targeted by a serial killer. When she manages to escape, she and her family enter the witness protection program. Unlike Brian’s other works, this is told in alternating viewpoints: Rory and the serial killer, Steven Nell. And Nell is creepy as anything. He reminds me of Hannibal Lecter. That level of creepy. Also, I’d love to go to Juniper Landing and stay in the house her family goes to. The island sounds amazing and the house adorable. Even with the weird fog stuff. It’s hard to talk about this book without giving away the twist. Because once you know the twist, it completely flips your perspective on everything. Have you read Shadowlands? Or any of Kate Brian’s other books?